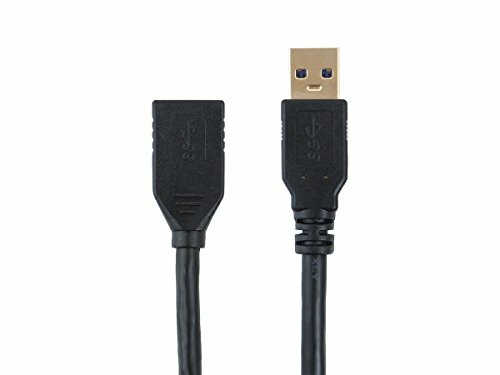 Connect your SuperSpeed USB 3.0 cable using this USB 3.0 A Male to A Female Extension Cable from Monoprice! This cable features a USB 3.0 A male connector on one end and a USB 3.0 A female connector on the other end. This allows you to extend the reach of your existing USB 3.0 cables. This cable features a USB 3.0 A male connector on one end and a USB 3.0 B female connector on the other end. The USB 3.0 B connector differs from the traditional USB 2.0 B connector in that it has 5 additional pins, which carry SuperSpeed data.